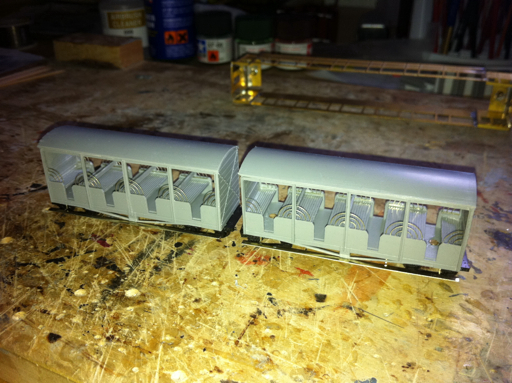 Here are the hudsons with footboards and seats fitted. The roofs are not yet fixed to aid painting/the addition of people. Now these will sit on the 'nearly' pile waiting for the etched mini doors promised to me by narrow planet.